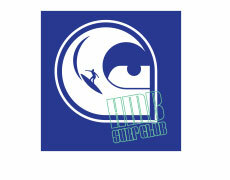 The HMB Surf Club is an affiliate of the Boys and Girls Club of the Coastside. The Club welcomes all particpants that wish to come out and enojoy the water, you don’t have to compete on the team to be a member of the Surf Club. All participants have an annual $30 membership fee payable to the Boys and Girls Club of the Coastside and need to complete the B&G Club of the Coastside online application. San Mateo Coastside kids in grades 6th through 12th are eligible. To join please contact the Middle Shool or High School Surf Club Coach. We encourage kids to surf, to work hard in school, and to develop a greater respect for the ocean and those we share it with. Club Members get discounts at some local shops. The Half Moon Bay Soccer Club is a competitive soccer club. The club sponsors coastside CYSA youth soccer teams between Montara and Pescadero. Mission Statement – We plan to provide a safe and positive environment in which your children may excel in soccer. They will meet personal and team challenges that will make them grow and learn. We aim to be good role models, and will support and assist them in meeting these challenges that will make them good athletes, students, and citizens. Our mission is to provide the youth of the Coastside an opportunity to play year round basketball at a high level via skill development through clinics and practices. Our goal is to compete against the best all-star teams in the Bay Area. Half Moon Bay is a small, close-knit town. We see ourselves as an extension of our community. All players who want to play will play, regardless of financial situation. If your son or daughter needs a scholarship please just ask.